When you love fashion and art so much, everything around you have to look fashionable or artsy enough to fit into your lifestyle. Sounds crazy but it's true that beautiful things makes people happy that's why if you're surrounded with beautiful things, your mood will be definitely better. 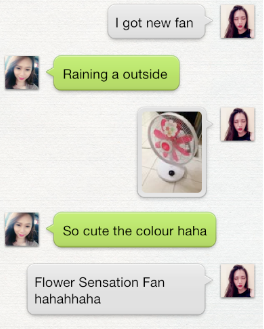 Which also explains why we can now have awesome Flower Sensation Fan. I mean who can ever think making a fan to a piece of art? Khind does. Lolll. 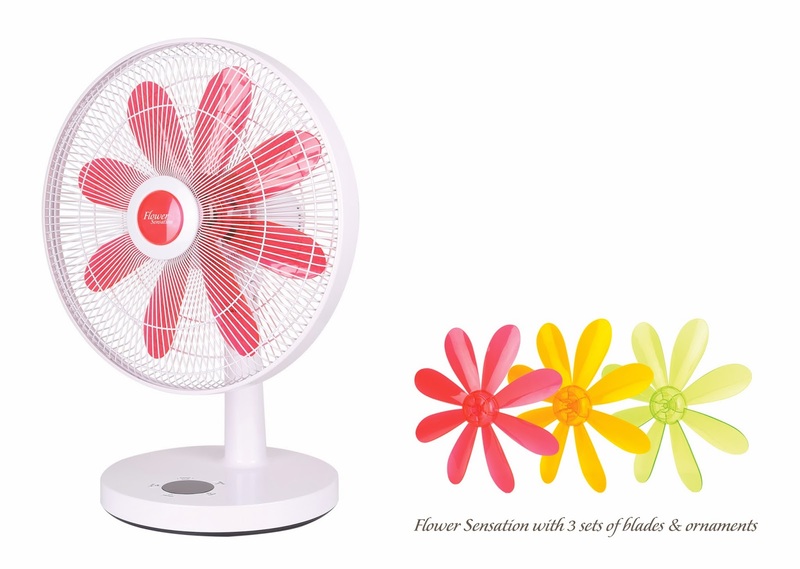 Buidling a fan that comes with 3 sets of blade and ornament – scarlet red, cheerful orange & refreshing green, like a blooming daisy flower. Yeap, you can change the Khind Flower Sensation Fan's 'flower” ornament easily. Put on the red one when you're feeling in love, or the orange one for a happy day and maybe the green one to keep you energized. 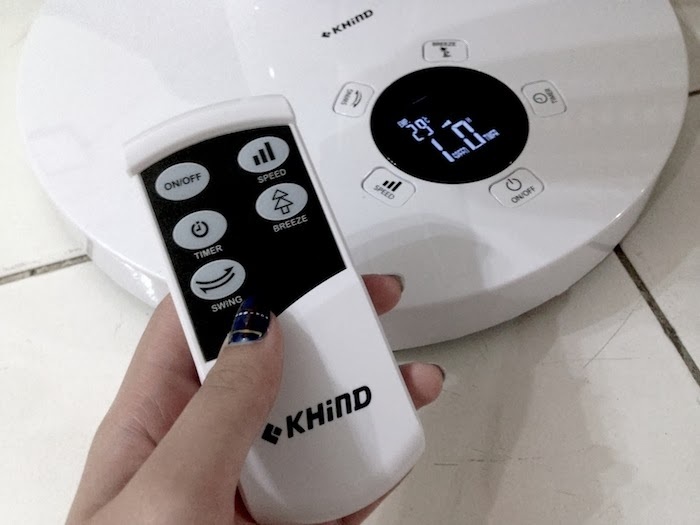 One thing I love about this Khind Fan is the full function LCD control panel!!! Awesomeness!! You know lazy people like me loves controller so I dont have to walk all the way to change the speed or swing etc. Stand a chance to win 8 weekly prizes and 1 Grand Prize of RM 1,000.00 travel voucher by joining Khind Malasysia Facebook Photo Contest www.fb.com/khind.my from 30 Nov 2013 until 3 Jan 2014!!!! !